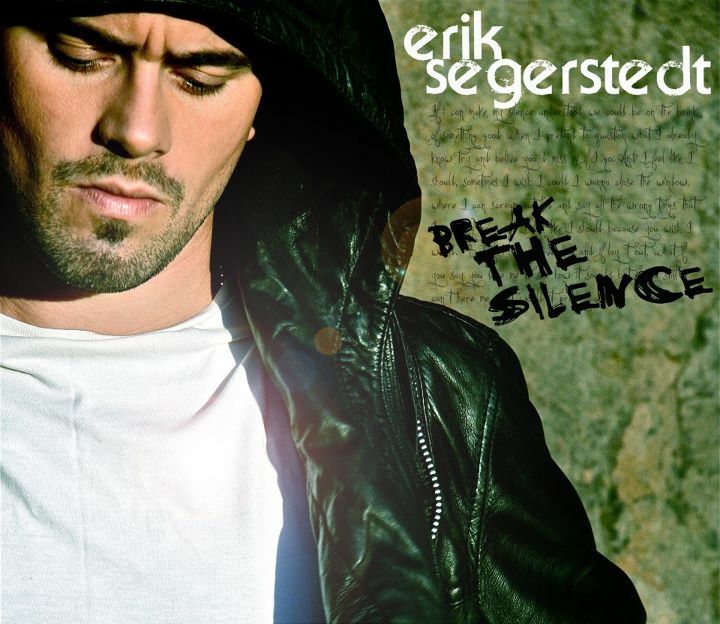 It's been a long time since Erik Segerstedt reaching the final of Idol-2006 has started solo-career releasing debut solo-album "A Different Shade" - very atmospheric melodic pop-rock work that peaked at #2 of Swedish chart, soon Erik has become part of E.M.D. with all their glorious history. The only solo-single Erik presented during the latest years was E.M.D. 's Melodifestivalen reject "Saturday Night" but now singer releases new track that he was touring with all the summer. "Break The Silence" is that sort of pop-rock songs you could easily imagine on the first Erik's album or being performed by Martin Stenmarck. It's tuneful and explosive with a slight soundtrack-feeeling and that sort of formula when piano intro turns epic chorus with screaming guitars, loud drums and everything that still works due to videos from Rix Fm festival with all that wild reaction of Mr. Segerstedt's fans. We'll be incredibly surprised if we won't see Erik as the next E.M.D. guy in the top of Melodifestivalen-2012 final. You know, I think if they'll decide to come back to MF, it will be 2013. Currently Mattias works on his own stuff, Erik tries to re-launch solo-career and the latest EMD's album has flopped with all singles (except Save Tonight) so I guess they won't be risking to release something new soon. But personally I do love "Rewind" and their comeback will be very interesting, yes! It's a cover of South African Idol Winner Jason Hartman's debut single! Oh, I didn't know about it, thanx for the tip, Joel! Agnes premieres "Don't Go Breaking My Heart"